Second metatarsal with erosion in the articular cartilage. 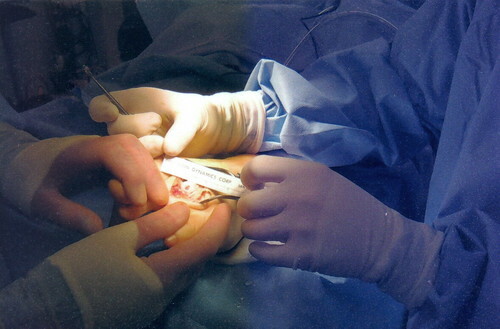 This was an arthroplasty and osteotomy of the second metatarsal. I am the set of hands in the foreground.